Rhyme and our people are committed to making our communities, state and country a better place for everyone. We donate time, money, and resources to many organizations like The United Way and many of their Agencies (YWCA, Big Brothers-Big Sisters, Boys & Girls Clubs), Schools, Scholarships and many other programs, so you can feel good that a percentage of your purchase goes back to the community. For more information about our charitable contributions or Rhyme Time, see the information and links below. 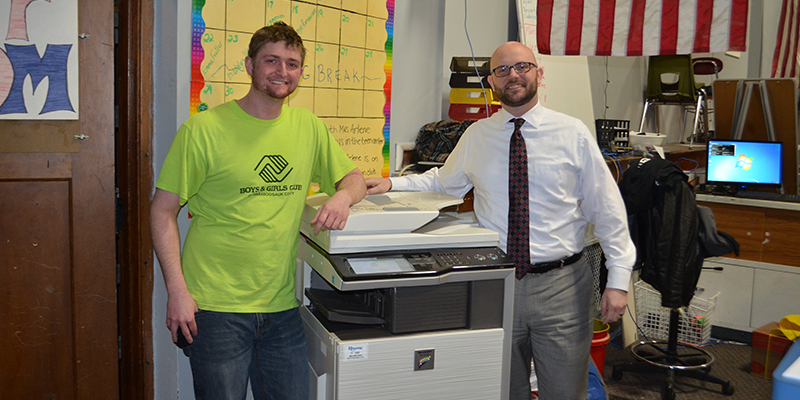 As part of our 70-year-anniversary celebration, Rhyme donated office equipment to area non-profits throughout Wisconsin, one for each decade Rhyme has been in business in! To learn more about the recipients check out our Newsroom. If you or another organization you know is in need of support in the form of copiers or printers, contact us! Every year Rhyme gives out scholarships to children that have been touched by cancer. 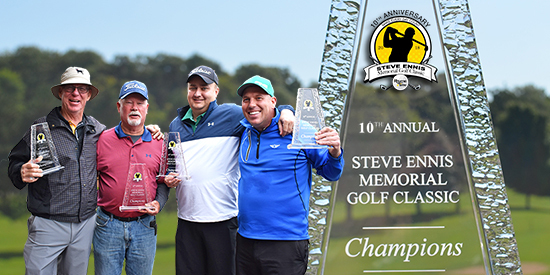 We do this in honor of Steve Ennis and Jack Steinhoff; two men that always represented Hard Work – Determination – Optimism and "Making Every Day Count” and we have an annual fundraising event to promote this work. The next event is scheduled for September 14th, 2019, please mark your calendar! This annual event, held in Cazenovia Wisconsin, will be celebrating their 19th year in 2019. This year marked the 9th anniversary for our brave group of Rhyme Time individuals who plunge into the frigid waters every year. The Polar Plunge benefits the American Cancer Society and G.R.A.C.E. (Greater Richland Area Cancer Elimination). The 18-year total for the entire event is over $315,000 and the Rhyme Time group has raised over $45,000 in the past 9 years. Mark your calendars for next year’s event, February 23rd, 2019! Rhyme is a long time supporter of the YWCA Circle of Women Event. Our pledge ensures that the YWCA can continue to provide equity and racial justice programming to create a more just and inclusive community; education, training and safe transportation solutions to help people find, change or maintain a job; and safe, affordable housing and emergency shelter. We are committed to the YWCA and eliminating racism and empowering women. To learn more visit their website. The Boys & Girls Club of America’s mission is, “To enable all young people, especially those who need us most, to reach their full potential as productive, caring, responsible citizens”. We couldn’t agree more with this mission, and that’s why Rhyme supports local Boys & Girls Club’s across Wisconsin. To learn more about this great organization click here. Rhyme is a proud supporter of the YMCA and their Strong Kids initiative. Because every child deserves the opportunity to experience YMCA programs and take control of their health. To find your local YMCA click here and see how you can help!